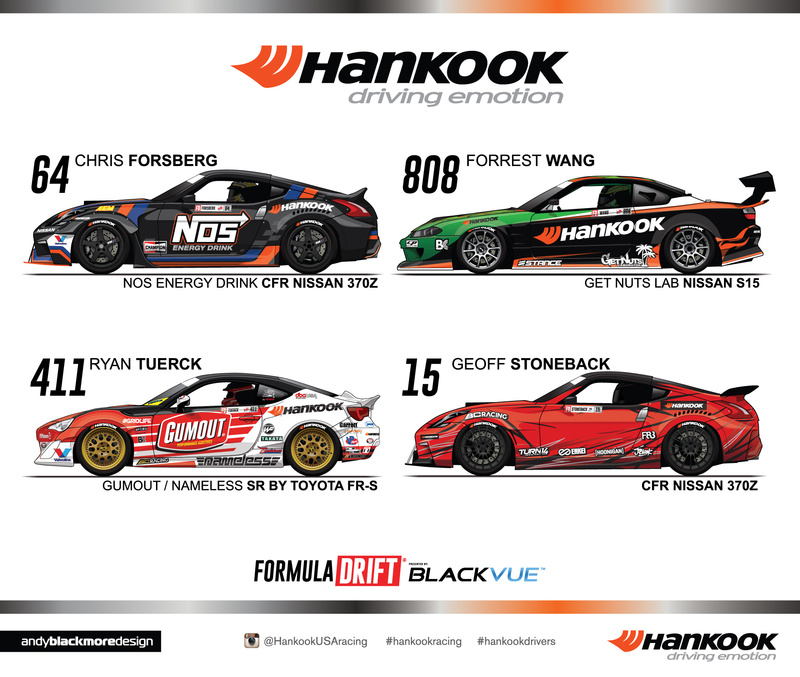 The annual Hankook Tires USA Formula Drift Hero Card style Spotter Guide returns for 2016 showcasing the cars of Chris Forsberg, Forrest Wang, Ryan Tuerck and Geoff Stoneback in high detail vehicle illustrations. 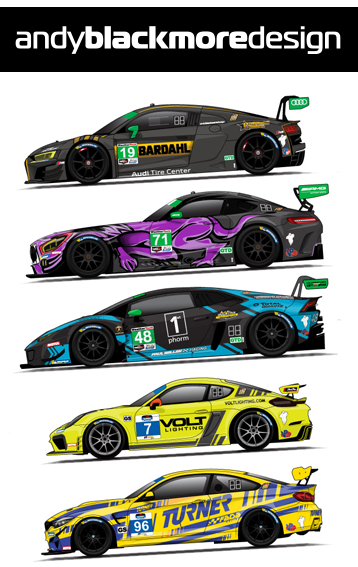 They were kind enough to allow me to share the art on SpotterGuides.com which you can download by clicking the image above. 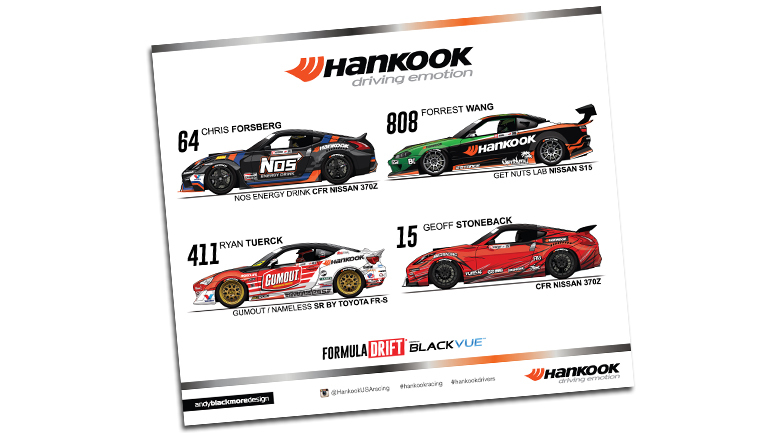 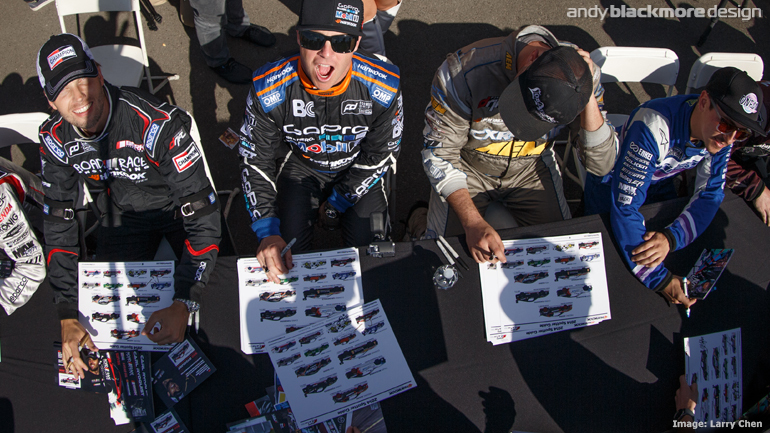 Professionally printed Hero Cards will be available at the events, starting with the Long Beach round this Friday and Saturday (8,9th April) and have proved a popular piece of art for autographs in the past.